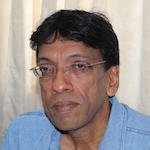 The issue of international participation in Sri Lanka’s transition process continues to remain a matter of speculation with different pronouncements being made by different members of the government. However, support for an international role in ascertaining the truth of what happened in the last phase of the war has received a boost due to the maiden speech in parliament made by former army commander Field Marshal Sarath Fonseka. 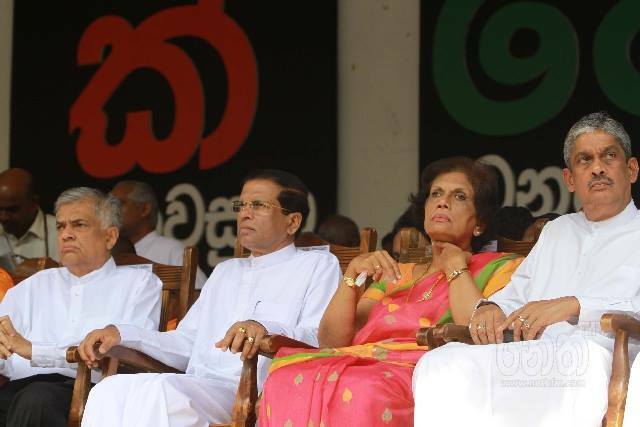 His credentials as a champion of Sri Lanka’s sovereignty and unity as a state cannot be denied even by his political opponents. It was he who turned round the military debacles of an earlier period and achieved military success by leading from the front. Speaking in Parliament the former army commander said that Sri Lanka should permit foreign observers to participate in any inquiry on whether war crimes had been committed in the last phase of the country’s war. Since the end of the war in May 2009 there has been intense pressure on the government to investigate whether war crimes took place in the closing stages of the war due to indiscriminate and mass killing of civilians and also whether there was targeted killing of LTTE leaders and their families who surrendered to the Sri Lankan military. There has been strong opposition to the issue of international participation agreed to in the Geneva Resolution that was co-sponsored by the government. In his speech, Field Marshal Fonseka said that under his leadership the military “had waged the war in accordance with international law.” But he also said that “Inquiries should be made open to international observers who can observe whether there were any violations of international law.” It is significant that Field Marshal Fonseka spoke of international observers at the inquiry, and not foreign judges or prosecutors which is more controversial. Field Marshal Fonseka also said in the course of his speech in parliament that he would reveal the truth about the final stages of the war, and in particular the “White Flag” issue, in which LTTE leaders surrendered to the Sri Lankan military after having been in touch with leaders of foreign countries that had been supporting Sri Lanka’s peace process. He said that he was in the process of writing a book in which there would be more facts emerging as to how the government conducted the war in the last stages, often with the knowledge and partnership of sections of the international community. Sometimes historians and those actors who write about their personal experiences are the custodians of a country’s history and their views give a more complete picture of the situation as it existed with all its real life complexities. In this context it is interesting that a book that gives the international perspective of the last stages of the war which formed the centrepiece of the former Army Commander’s maiden speech in parliament has recently been published with the Sri Lankan book launch taking place earlier this month. It is an account of Norway’s peace engagement in Sri Lanka titled “To end a civil war” and is authored by Mark Salter, a former BBC journalist and later a research scholar working in an international peace building organisation, International IDEA, based in Sweden. This book of 550 pages provides a meticulously documented account of how Norway came to be involved in Sri Lanka’s last and most promising peace process. It also addresses the issues that arose at the last stages of the war, including the White Flag case. It has a large number of interviews with those who played a front line role during those days. Japan’s peace envoy to Sri Lanka, Yasushi Akashi, who made more than twenty visits to Sri Lanka both during and after the war to support the reconciliation and negotiation process, comments on Mark Salter’s book saying “The sobering lesson we should all learn from these intractable experiences is that the final outcome of these efforts depends ultimately on political circumstances that are beyond the control of peace makers.” But Norway’s peace facilitation in Sri Lanka has had a lasting impact that outlived the collapse of the Ceasefire Agreement in 2006. The Norwegian-facilitated peace effort was supported by influential members of the international community, with the United States, Japan and European Union becoming co-chairs. This legacy of constructive international involvement brought to the fore during the period of the Ceasefire Agreement continued to the end of the war and persists to this day. Norwegian facilitation, initially at the invitation of President Chandrika Kumaratunga, began in the period prior to the year 2000 and attained its high point in 2002 with the signing of the Ceasefire Agreement by the government and LTTE. This gave the country the best opportunity to arrive at a mutually acceptable solution, the high point of which was the Oslo Declaration in late 2002 in which the government and LTTE agreed to explore a federal solution to address the root causes of the conflict. Even today the contours of a just political solution will need to lie in the domain of the federal arrangements of power sharing in which the numerical preponderance of one community does not become a permanent tyranny of the majority as seen from the perspective of those who are doomed to be a permanent minority in an ethnically plural society. The issue of international participation in Sri Lanka’s transition process today is one of the outcomes of Norway’s peace engagement in Sri Lanka. It is what continues to give hope to the Tamil minority that there can be a just political solution to their problems. A special opportunity to negotiate a just solution during the government-LTTE pace process was reached with the Oslo Declaration on a power sharing arrangement on the basis of federalism. Public opinion surveys at that time confirmed that a majority of the population, weary of protracted war, were prepared to accept a federal solution if it would end the war. The military power of the LTTE gave the Tamil polity a more equal bargaining strength with that of the Sri Lankan state, which led to the Oslo Declaration. However, the military defeat of the LTTE has brought into play the asymmetry in political power that a numerical majority has over a numerical minority within a democratic system. It led to a withdrawal from the federal vision and to rearguard action to even maintain what the 13th Amendment to the Constitution has to offer in terms of devolution of power. One of the lessons learnt from the Norwegian experience is the need to have a political framework in place, which is what the government is seeking to do through its constitutional reform process. At a consultation on the peace process conducted last week with civil society representatives from all parts of the country, the participants were sub-divided into smaller groups for in-depth discussion on issues. The Tamil speaking group consisting mainly of persons from the North and East, expressed private doubts whether the current transition process would be successful. This is to be expected. They have seen previous efforts at reform and reconciliation come to nought. As a permanent numerical minority they need to have other factors that reduce the asymmetry in their bargaining strength. The issue of international participation should not become or be seen as foreign interference that erodes national sovereignty. On the contrary, it is to strengthen the confidence of the Tamil polity in the transition process. If Field Marshal Sarath Fonseka’s statement on international observers is built upon constructively, it will contribute to greater confidence within the Tamil polity regarding the promise of national reconciliation.